Ayodhya: The decision of the Supreme Court on Monday to defer the day-to-day hearing in the Ayodhya title suit has upset seers and right-wing groups who now seek legislation to pave the way for an early construction of the grand Ram Temple at the disputed site. Bharatiya Janata Party leaders, too, expressed annoyance over the delay in the commencement of the Ayodhya Title suit consideration and laid the blame at the door of the Opposition Indian National Congress. Uttar Pradesh deputy chief minister Keshav Prasad Maurya said that it would have been better if the apex court had commenced the day-to-day hearing for an early verdict. "Delaying the hearing is not a good indication," he asserted.
" First it was Kapil Sibal and now Prashant Bhushan, who are responsible for the delay in the hearing by the apex court. Congress always wanted to delay the verdict on the matter and they have got success in it," he alleged. The fiery BJP leader made it clear that delaying the hearing now means that there will be no verdict before the 2019 Lok Sabha polls." Such an act would only increase resentment among the people and their aspiration for a grand Ram temple," he said. 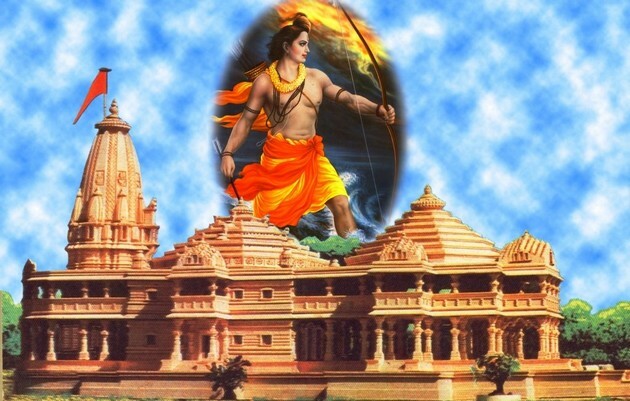 Hardliners demanded that the Centre should bring a legislation for the Ram Temple immediately.They alleged that delaying the hearing in the apex court could set a wrong precedent which would dismay the majority community.
" Now it is the duty of the BJP government at the Centre to bring a legislation to pave way for the early construction of the Ram temple," they averred.The hardliners were contradicted by Mahant Dharamdas, who affirmed that in this case, the government would not be able to bring any legislation. The Mahant blamed the court for not hearing the submissions of the majority community before deferring the hearing till January." The court just spent minutes to defer the case and did not give even two minutes time to the parties concerned," was the seer's grouse. The minority community welcomed the decision and expressed faith on the apex court." We accept the verdict of the court as we are not in a hurry. Let the court take its time as the case is very crucial," the minority community leaders said.